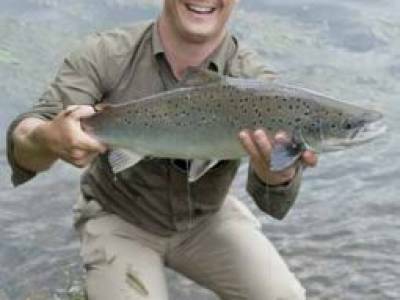 A salmon, a sea trout and a brownie in a day – Marcus Janssen headed south to try his hand at the Testwood challenge. Despite staying up to watch the Olympics opening ceremony, my fisherman’s alarm clock didn’t let me down, waking me half an hour before I needed to be up. 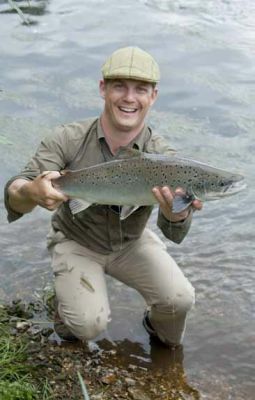 And with the possibility of salmon, sea trout and brownies on the cards, I was perhaps a little more excited than usual. Word of my fly fishing obsession had obviously spread. 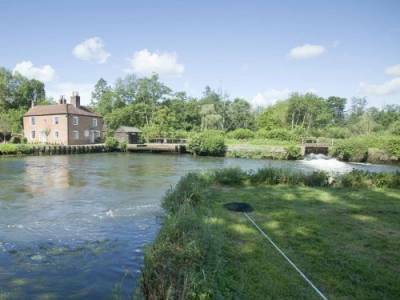 Howard Taylor, whose company Upstream Dry Fly has the fishing rights on the Testwood and Nursling beats of the River Test had kindly invited me to have a go at their grand slam ‘ all three native salmonids, on the fly within 24 hours. This is a bit like inviting a very hungry man to The Waterside Inn, Le Gavroche and Le Manoir Aux Quat’Saisons for breakfast, lunch and dinner. To the avid fly fisherman, invites simply don’t get any better. I arrived an hour early, and with clear blue skies overhead, a light veil of mist on the water and some coffee in my flask, I meandered my way downstream. 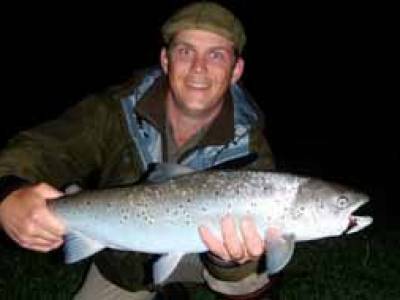 It was sheer torture ‘ within minutes I had spotted a decent brown sipping dries on the far bank, a good sea trout had cruised past me on the incoming tide and a spanking fresh grilse had shown in the tail of the pool. I simply couldn’t contain myself and sent a text message to my host, letting him know of the pain I was going through. Thankfully Howard is a sympathetic man, because minutes later the beat’s riverkeeper emerged from the Georgian mill-house which overlooks the main Testwood pool. A man after my own heart he obviously recognised the look of madness in my eyes, skipped the pleasantries and cut straight to the chase. ‘Hi I’m Peter Farrow. Shall we go and try for a salmon before breakfast?’ he asked. The finest introduction I’d ever heard. The plan was to focus our attention during the day on Mr. Unpredictable, the salmon, and then target sea trout at night. And if all went to plan, we’d either have the early evening or first light the following day to try for a brownie.